Financial news and Facebook advertising share one thing in common. They’re volatile. Both change from one day to the next, but if you’ve been keeping up with the latest you’ll know that Facebook has banned ads that ‘promote financial products and services that are frequently associated with misleading or deceptive promotional practices’ such as binary options, initial coin offerings and cryptocurrency. This means that no marketer – even those operating on behalf of legal, legitimate businesses – can directly promote these so-called ‘taboo’ subjects. And not only from Facebook’s core app, but also in other places where Facebook sells ads such as Instagram and its ad network. Facebook Advertising – Is It Even Worth It? 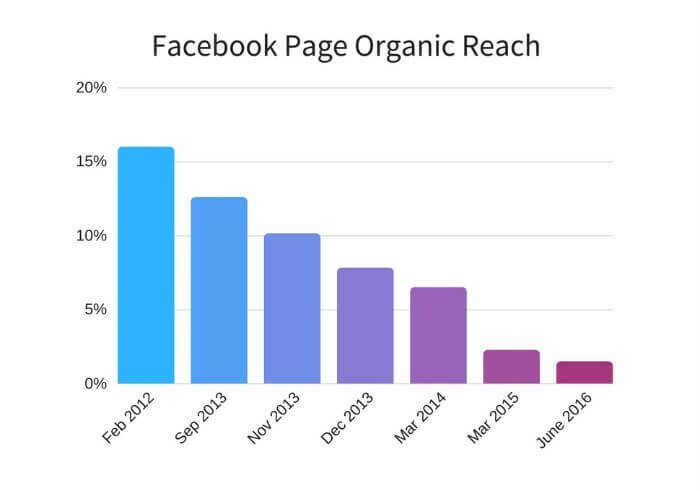 Aside from Facebook’s recently updated advertising blocks, it’s also worth bearing in mind that the organic reach from Facebook Pages is declining. This is partly due to algorithmic changes to the Facebook newsfeed and partly down to the sheer amount of content that’s currently being uploaded to this popular social platform. The graph below clearly details the changes that have occurred since 2012. 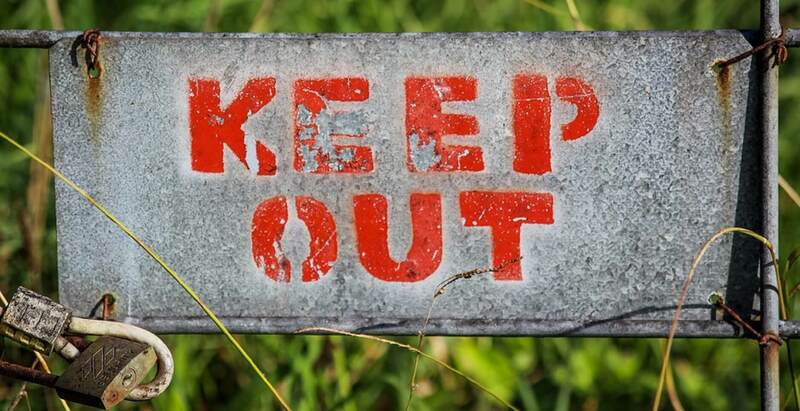 How Can Marketers Advertise Products on the Ban List? When it comes to financial marketing, compliance isn’t new. The recent MiFID II updates have certainly shaken things up of late and with Facebook advertising blocks now dominating the headlines, it’s crucial to think outside of the box and stay on the ball. These include words such as ‘ICO’, ‘crypto’, ‘cyrptocurrencies’, ‘loans’, ‘forex’, ‘binary options’ and such like. It showcases the human side of your company/brand and creates an emotional experience that resonates with your consumer. So, instead of shouting about a new crypto-related finance or service on Facebook, you might want share a blog about how the company was formed, live stream a video from the office or engage in some kind of online quiz or competition – anything that exposes your business without drawing attention to ‘banned’ subjects. This obviously means not linking to landing pages which contain banned words either. The more interesting your content is, the more likely it is to be shared so keep this in mind when developing your marketing strategy and remember – content goes way beyond the written word. Believe it or not over half a billion people watch video content on Facebook every day, so it’s well worth investing in shareable video content with a well-written script. If you decide to use Facebook Live, great! This is the way of the future, but don’t forget to generate buzz before you go live to ensure you have a decent following. Great content can also include visuals such as graphs and infographics. While the finance sector is often considered bland, serious and uncreative there’s no reason why you can’t spice things up a bit and produce something for people to talk about. That said; always keep compliance at the forefront of your mind and avoid banned subjects. Even if you’re trading cryptocurrencies such as Bitcoin, the idea of Facebook is to draw attention to your business without being too specific. It’s kind of like playing the word game Taboo. You know; the one where you’re tasked to describe a specific word on a card without mentioning the word itself or other specific terms. The idea is to think creatively and find other methods of being understood. Educate and inform. Crypto and ICO-related concepts are new to many so the more helpful you are they more likely readers are to return for easy-to-read information. Provide new and original content. No one wants to read copy that’s been re-spun, so keep your eye on all the latest news and adopt your own, fresh style. Stay compliant. All social media activity must follow the rules. Create sharable content. As with Facebook, sharable content will help to gain maximum exposure for minimum costs. If you need help with your content marketing strategy, contact the Contentworks team today. We’re fully clued up on all the latest compliance issues and will help to improve and manage your online reputation.